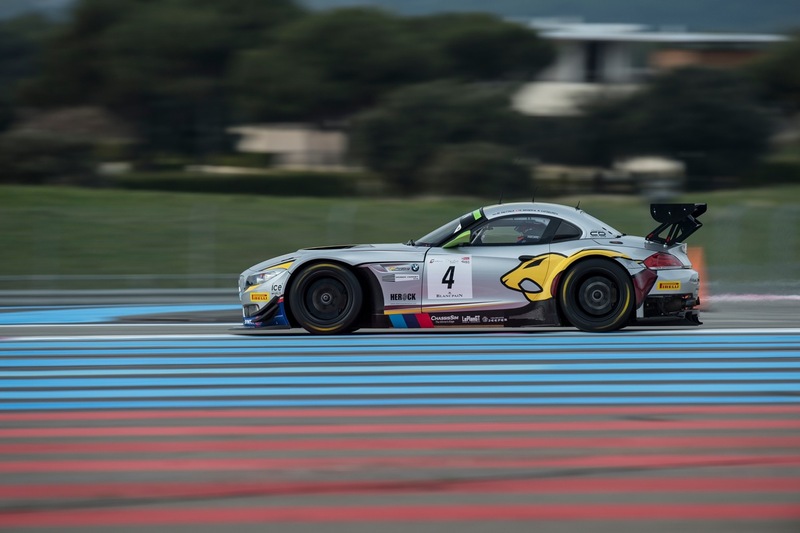 For the first 10 hours of the legendary endurance race, the Marc VDS BMW Z4 GT3 #4 of Markus Palttala, Nicky Catsburg and Henri Moser was either leading the 60+ strong pack of the best GT cars Europe has to offer, or hot on the heels of the leading Manthey Porsche. The intriguing battle between these two came to an abrupt end when Catsburg parked the #4 on the side of the track with a failed alternator. Markus Palttala and Jos Menten scored the first podium of the season for the SIMFY-coloured Porsche #110 of RTR (raceunion Teichmann Racing) finishing 3rd in class and 7th overall. During the last lap Palttala moved to take the lead, and 5th overall, but just moments later a fuel problem robbed the duo of a chance to win. Nevertheless, the experienced Finn was able to nurture the car home over the finish line using its service pump and thereby salvage a very respectable result.